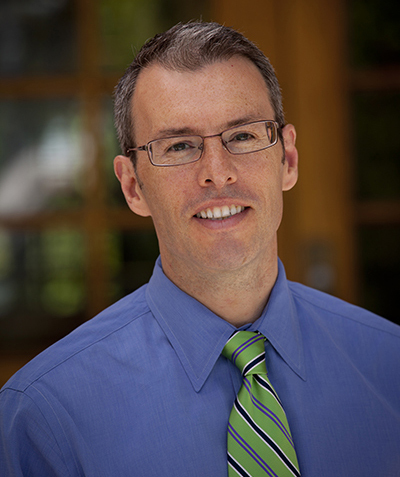 U rban School is delighted to announce that Dan Miller will become our next Head of School, effective July 1, 2019. Dan Miller was selected from an international pool of diverse and talented candidates after a thorough search process that engaged students, parents/guardians, alumni, faculty, staff and trustees. 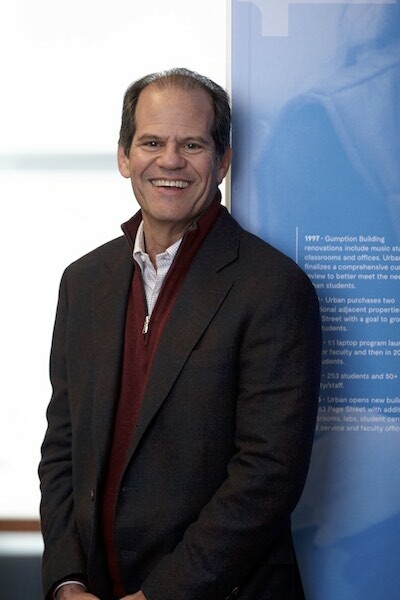 The Urban community was uniformly impressed with Dan’s deep educational experience, his engagement as a learner, his warmth and humility, and, most importantly, his alignment with Urban’s mission and core values. Dan will spend the 2018-19 school year as interim head of Crystal Springs Uplands School in Hillsborough. We look forward to celebrating and honoring Mark throughout next year for his many decades at Urban. To read the complete announcement about Dan's appointment, please click here. Upon retirement, Mark will have served a total of 32 years at the helm of Urban, having first been named Head for the 1986-87 school year. Prior to that, Mark worked in several capacities at Urban, including Director of the Urban Arts Program, history/English teacher and Director of Development. As we move closer to his retirement date, we will look forward to celebrating all that Mark has brought to our community. We hope that each of you will have an opportunity to thank him in some way for everything he has done for students – both current and alumni – and for our extended community, both past and present. Please see Urban news bulletins, calendar and social media for planned events during the 2018-19 school year. Our Search Committee is composed of alumni, current and former parents/guardians, board members and faculty. Please see the committee at right. All announcements regarding the search process and Search Committee activities can be found on this page. Please check back for information. Please note that this is a preliminary schedule subject to frequent updates. Consultants visit campus to learn more about Urban and meet with faculty/staff, administration, students, parents/guardians, alumni, Board of Trustees. Planning for Mark Salkind transition and departure via honor events, campaign, etc. How long will the Head of School (HOS) search last? When do you expect to hire the next HOS? Typically, a head of school search takes around 9-12 months. Our goal is to select a new head of school by Fall 2018. Urban’s new head will start on July 1, 2019. The Search Committee, along with the search consultant firm RG175, is tasked with directing the new Head of School search process from start to finish. The Committee will coordinate input from Urban’s various constituencies, work with the search consultant to develop the detailed job/position description, and review the first round of candidates. They will then organize and conduct interviews with the semifinal and final candidates. At the end of the process, the Search Committee will present one broadly supported candidate to be confirmed by Urban’s Board of Trustees. Another major function of the Search Committee is to keep our community informed and engaged throughout the process, while ensuring the confidentiality of the candidates. The Board of Trustees has selected a group of trustees, alumni, parents and faculty to work closely with RG175 to identify and interview candidates from across the country and closer to home. The committee members include Urban parents, former parents, alumni, faculty, and were chosen for their background, deep connection to Urban and expertise in specific areas. The Search Committee will be responsible for identifying and interviewing candidates, and to make a final recommendation; the full Board will confirm the final HOS selection. What specifically are you seeking in a new Urban HOS? In conjunction with the Search Consultant, we will engage segments of our community to develop a candidate description that reflects Urban’s strong and distinct culture and values, with an eye toward our future goals as outlined in a new strategic plan. The process will provide a valuable opportunity to learn from our community about the qualities we seek in a new head. We should take great pride in the school that our community has built over 50+ years. Why is Mark leaving Urban? Mark has decided that after more than 30 years at the helm of Urban (and working at the school six years prior to that), the time is right to retire. We have been incredibly fortunate to have Mark at Urban for such a long tenure, as he guided the school’s growth and transformation. He will be deeply missed, but he leaves us at a time when Urban has never been stronger and our future so bright. What is the role of Urban’s faculty/staff/administration in the process? Will the search impact the faculty's time in the classrooms or the staff/administration's time and availability? In addition to the members of our faculty who will serve on the Search Committee, others will be actively engaged throughout the search by taking the time to meet candidates when they visit the school, welcoming visitors into their classrooms, and providing other means of input as requested by the Committee. The search process takes place over an extended period of time and will not affect the availability of Urban employees. What is the role of Urban’s parent/guardian, student, alumni community in the process? During the process, there will be opportunities for segments of the Urban community to provide input. Members of our community will be invited to meet our Head of School finalists when they come to campus. Information about the schedule will be posted and emailed when available at www.urbanschool.org/headsearch. Will the Head of School search impact my child's experience at Urban? Our faculty, staff and administrators are committed to our primary goal, which is to provide your student with an outstanding educational experience and to fulfill our mission: to ignite a passion for learning and to inspire our students to become self-motivated, enthusiastic participants in their education, both in college and beyond. May 2018 - Finalist visits and interviews. Please see the schedule at right, and check your email for information about each candidate. June 2018 - Search Committee meetings; proposed next steps to full Board of Trustees; contract negotiations with chosen HOS candidate, or, determination to continue the process in Fall 2018. June 5, 2018 - Thank you to our Urban Community for the warm welcome you showed our three finalists. We are happy to announce the appointment of Dan Miller as Head of School effective July 1, 2019.